The catfish has over 27,000 taste buds. That stuff on the bottom of the lake must taste delicious. 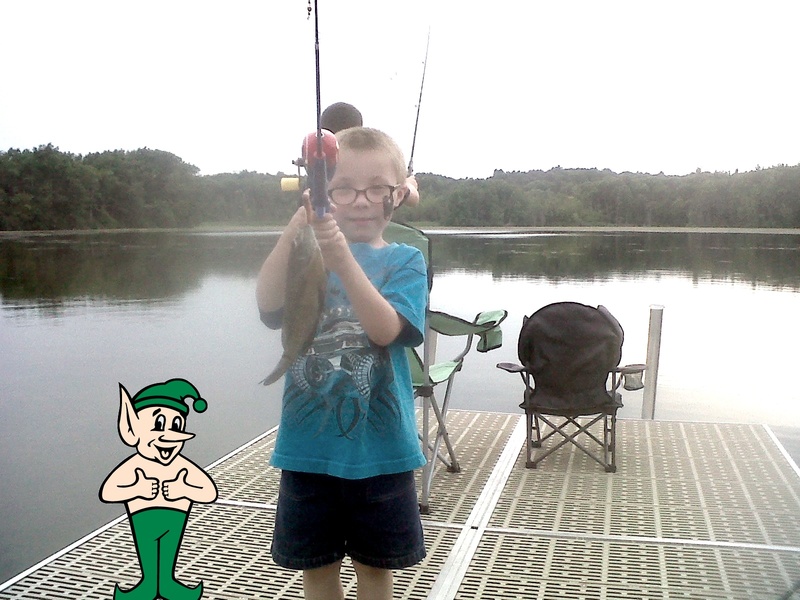 Look at this nice Bluegill Gerald’s grandson Aidan pulled in while camping at the Adision Oaks campground in southeastern, MI. Now there’s a proud looking grandson. Nice catch Aidan. Catch another one and send me another picture. I’ll bet grandpa was just beaming after this one was pulled in.